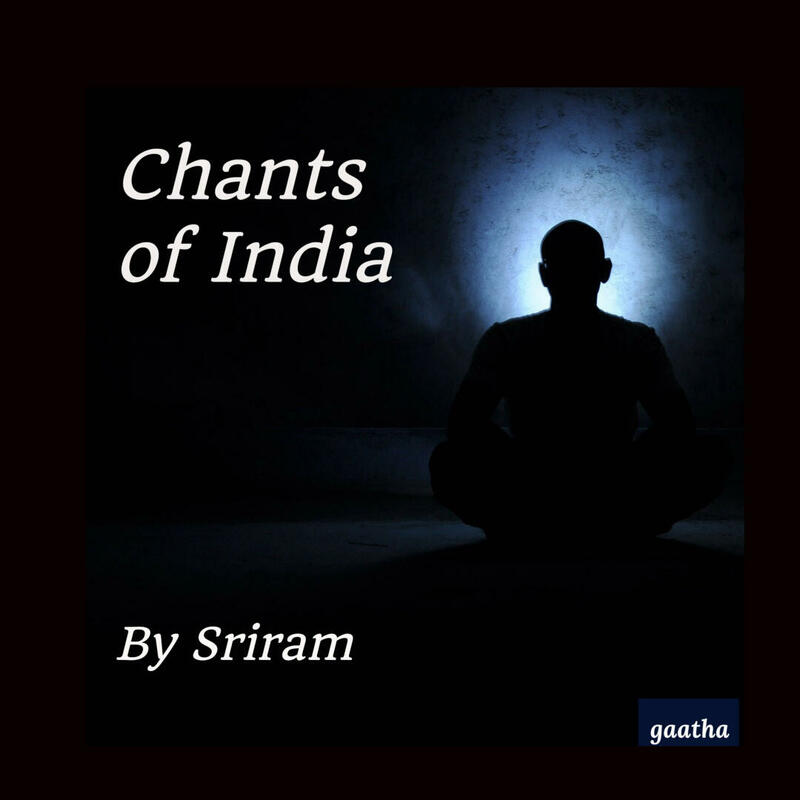 Chants of India by Sriram | Listen Free on Castbox. 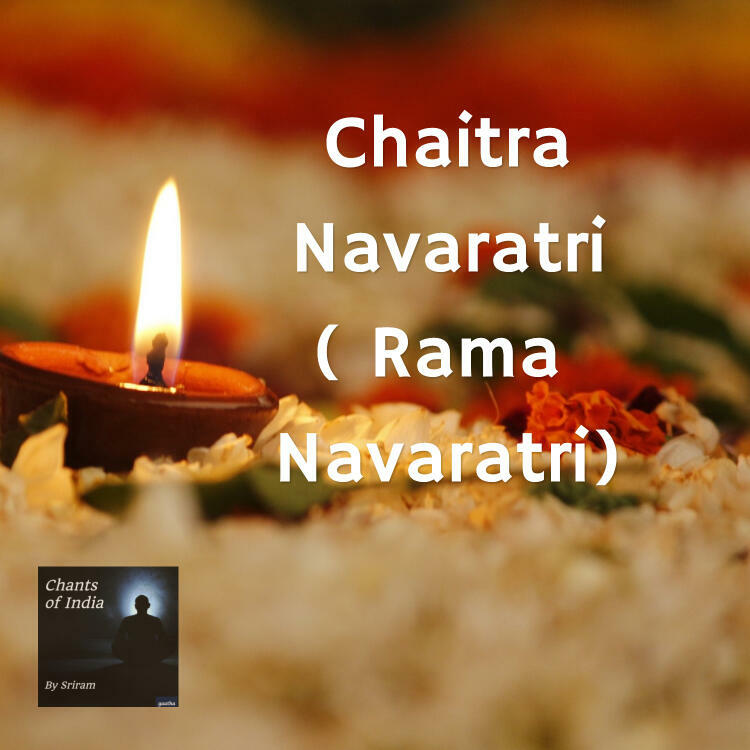 Chaitra Navratri or 9 nights of fasting and praters begin in the month of Chaitra (which falls in the month of March or April). This festival starts after the Gudi Padwa or Ugadi festival, and is also known as Rama Navratri. All 10 forms of Goddess Shakti are worshipped during this festival. In this episode, your host Sriram explains the significance of this festival, what pujas (prayers) are to be performed on each day, and concludes with the mention of Rama Navami festival, which we will cover in depth in a later episode. Chants of India by Sriram Podcast is produced by gaatha story and you can listen to this podcast on Apple Podcasts Google Podcasts, Spotify, Stitcher, and other fine sites and apps where you listen to your favourite shows. Music: Sitar by Leonardoarena.You can visit https://indianchants.xyz to learn more about this show. In this episode, Sriram narrates the 108 names of Lord Vishnu- known as Ananta Ashtotara Shatanamavali (Ashtotara means the number 8 that follows Shata, that is, 100). Chants of India by Sriram Podcast is produced by gaatha story and you can listen to this podcast on Apple Podcasts Google Podcasts, Spotify, Stitcher, and other fine sites and apps where you listen to your favourite shows. Music: Sitar by Leonardoarena.You can visit https://indianchants.xyz to learn more about this show. On occasion of Ekadashi (Eleventd day of the Lunar fortnight), we bring to you ten short chants of Lord Vishnu, including: a. Om Namo Bhagwate Vasudevayab. Twameva Mata Pita Twamevac. Shantakaram Bhujagashayanam...Learn the meaning and significance of each of these chants in episode number 11 of Chants of India by Sriram, narrated by Sriram for gaatha story. You can listen to this podcast on Apple Podcasts Google Podcasts, Spotify, Stitcher, and other fine sites and apps where you listen to your favourite shows. Music: Sitar by Leonardoarena. Budha (Mercury) is considered to be the son of Tara and Chandra. Lord Shiv was pleased with the penance, that is, the prayers and meditation of Budha and blessed him with the status of a Graha (Planet). Listen to Budha Gayatri Mantra and Kavacham. These are Dhyana Shlokas. 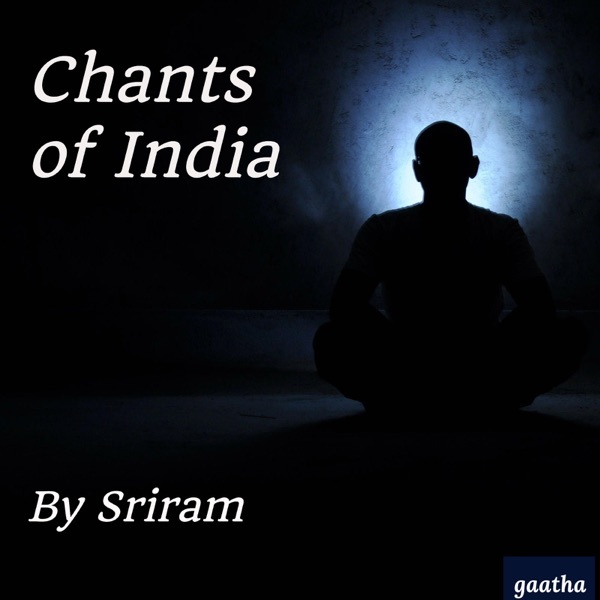 Narrated by Sriram for Chants of India by Sriram Podcast.Learn more about Chants of India by Sriram visiting https://indianchants.xyz Chants of India by Sriram Podcast is produced by gaatha story and you can listen to this podcast on Apple Podcasts Google Podcasts, Spotify, Stitcher, and other fine sites and apps where you listen to your favourite shows. Music: Sitar by Leonardoarena. Announcement: Baalgatha podcast of children's bedtime stories is now available in Telugu! Visit gaathastory.com/podcasts to learn more. On the occasion of Mahashivratri, listen to Eleven mantras of Rudra, one of the many incarnations of Lord Shiva. These chants are from the Rigveda.Chants of India by Sriram Podcast is produced by gaatha story and you can listen to this podcast on Apple Podcasts Google Podcasts, Spotify, Stitcher, and other fine sites and apps where you listen to your favourite shows. Music: Sitar by Leonardoarena. In a week's time, we will celebrate the festival of Mahashivratri. To mark this festival, today we publish the episode featuring chants to honour the Bhairav avatar of Lord Shiva. Kal means ‘time’ and ‘Bhairava’ the avatar of Shiva. Ashtami after Purnima, or the eighth day after full moon, is considered the ideal day to celebrate this occasion. Chants of India by Sriram Podcast is produced by gaatha storym and you can listen to this podcast on Apple Podcasts Google Podcasts, Spotify, Stitcher, and other fine sites and apps where you listen to your favourite shows. Music: Sitar by Leonardoarena. The Significance of Magh Purnima or Maghi Purnima This is a day that falls on the Full moon day of the month of Magh. There are many other names for this Purnima. Magh Purnima is considered to be one of the most auspicious days and a major day for bathing at the confluence of rivers (Sangam) during the Kumbha mela. Lords Vishnu, Hanumanji, Parvati and Brihaspati are worshipped on this day.Some devotees perform Satyanarayan Puja on this day. In Tamil Nadu a float festival is celebrated, when beautiful idols of Meenakshi and Lord Sundareshwar are taken out in procession. Buddhists also consider this day to be auspicious- Gautam Buddha proclaimed that he would leave the world. Chants of India by Sriram Podcast is produced by gaatha storym and you can listen to this podcast on Apple Podcasts Google Podcasts, Spotify, Stitcher, and other fine sites and apps where you listen to your favourite shows. Music: Sitar by Leonardoarena. On the occasion of Durgashtami (8th day of the dark phase of Moon), we bring to you Durgashtami Stotra, or chanting of Goddess Durga.Chanting of the sholka is by Sriram. Chants of India by Sriram Podcast is produced by gaatha story. You can listen to Chants of India by Sriram on Apple Podcasts Google Podcasts, Spotify, Stitcher, and other fine sites and apps where you listen to your favourite shows. Music: Sitar by Leonardoarena. 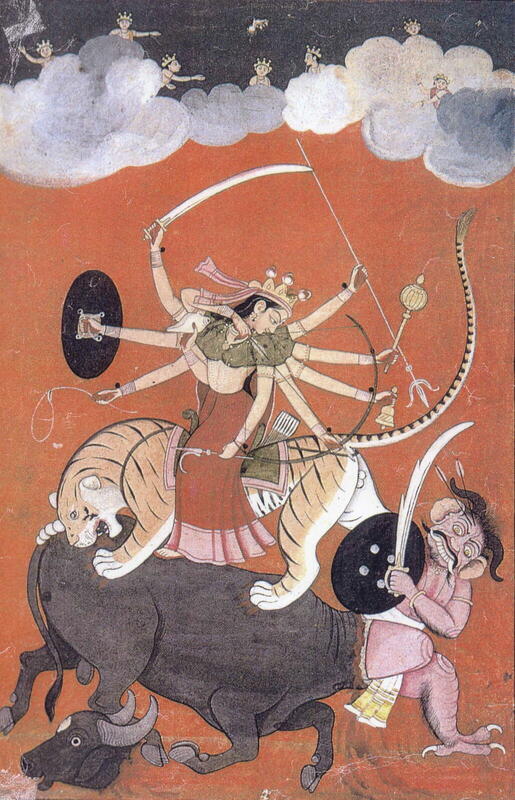 Image of Durga obtained from public domain sources.